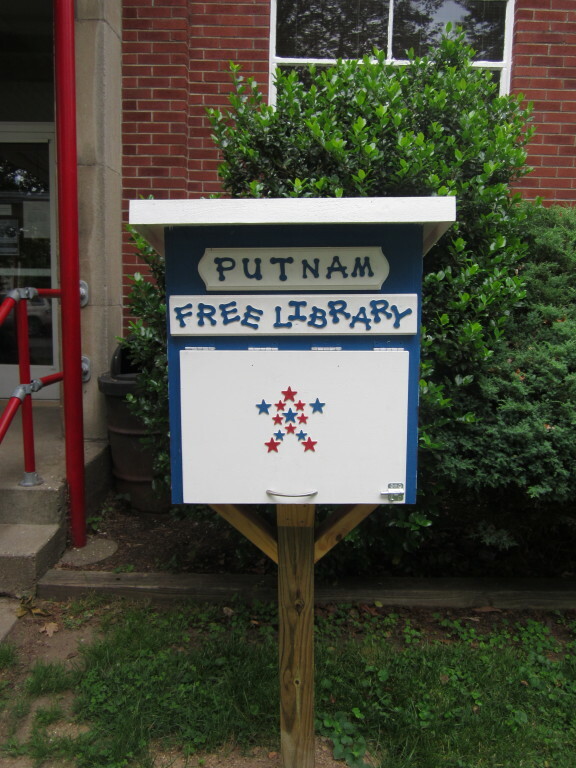 Putnam Elementary School has a Little Free Library, #23699. This little library was built by Cub Scout Pack 231 so that students and community residents could have access to books all summer long. So far, the children of Putnam have enjoyed bringing their unwanted books to fill up the library. They can also take their pick of books that they have not read. The Little Free Library is a national concept and their mission is to promote literacy and the love of reading by building free book exchanges worldwide, and to build a sense of community as we share skills, creativity and wisdom across the generations. What a great way to encourage summer reading for kids. You never know what book may show up next in the Little Free Library. Check out the LFL story at www.littlefreelibrary.org.